Compared to what we normally see, owlaps is based on high quality « top to bottom » videos shot with the latest high definition action cameras. 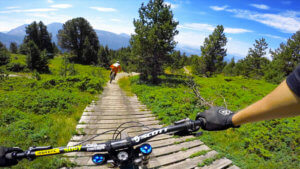 Thanks to these videos and other selected and useful information, you will be able to really appreciate and discover trails, MTB spots and bike parks all over the world! Owlaps videos would help you plan your next ride, your next bike trip or next race! "owlaps is a cool and immersive way to discover biking trails over the world and choose your next ride destination"
We wanted to create something useful for every riders, from the beginner riders to the experts. Many good websites exist when it comes to mountain biking trail map and trail inventory. Those websites are great. They allow you to get basic MTB trail info, to download GPX files and they sometimes feature user generated photos and videos. However, we wanted to create something more immersive, funnier, more visual. 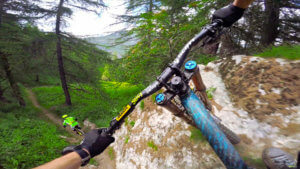 And that's why we created owlaps: to deliver good quality POV videos that allow riders to best appreciate, anticipate, and in a way "pre-ride" a trail. 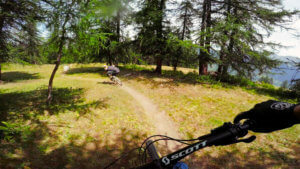 What's better than trail videos for advanced riders who want to preview a race course, for buddies planning their next week-end rides and for a family looking for their next summer bike adventures! Is the spot/ bike park/ trail worth the drive? How trails are abroad? Is this trail or spot adapted to your riding skills? Just watch our trail videos. They will tell you! Is owlaps a person? Nope! Owlaps is a concept. 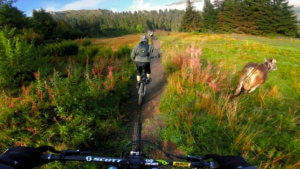 It is an innovative website and a new way to discover the best mountain biking trails around the world. We have a team of selected and motivated ambassadors who film good quality POV videos, allowing you to get the best footages to prepare your next ride!